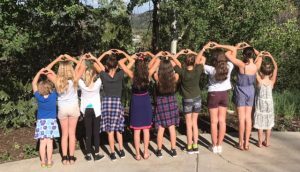 Launched in 2017 by 12-year-old Paige Rock and her 10 founding members, Girls’ Giving Fund is an opportunity to promote nonprofit support among school-aged girls of greater Park City. The girls made their first grant to Big Brothers Big Sisters of Utah in 2017, and aim to make their second grant in 2018. This community of girls are each raising or earning $100 to donate to the fund annually. Girls’ Giving Fund provides the opportunity for young girls to learn to serve the community and experience the joy of giving back. When we work together, our impact can be greater. 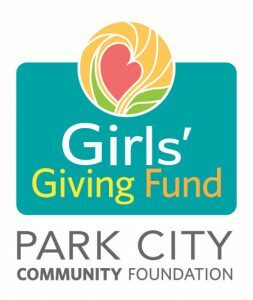 Girls’ Giving Fund members each donate $100 to support a fund (not an endowment) that aims to make a grant each year to a nonprofit serving children in Park City. Now-October 24th: Members raise funds in support of the 2018 selected grantee. New members are asked to raise $100, returning members to raise $50 or more. The deadline to make a donation and vote: October 24th, 2018. Donations made after that will go towards the 2019 grants. Please contact Sam Mueller to set a time to stop by the office if donations will be made in person. Or visit the Donate page. October 27th, 11am – 1pm: Grant announced at Girls’ Giving Fund Mother/Daughter Witches Brew. For more information, contact Sam Mueller sam@parkcitycf.org. To donate to the Girls’ Giving Fund, please visit our Donate page. What donation amount is required to join the fund? $100 donation per girl for new members. $50 donation per girl for returning members. Please collect all donations and then turn them in by October 24th, 2018, clearly labeled with the girl's name. Girls will be considered a member after the donations have been received. Please convert all cash to check or credit card. Am I required to recruit other girls? How do I get my Girls Giving Fund Hat? One-of-a-kind Girls' Giving Fund Big Truck pink hats are available to new members. Thank you to the anonymous donor who sponsored the hats! Hats will be distributed to new members from Park City Community Foundation's office (1960 Sidewinder Drive, Suite 103) when the donation is made, or by special appointment. To make an appointment, please contact Sam Mueller, Sam@parkcitycf.org. When does my donation need to be in? What are the possible projects that might receive the 2018 Girls' Giving Fund grant? EATS Park City is dedicated to working with the school district and our community to improve the school food program, using education as the foundation for change. Programs include taste tests, cooking classes, policy advocacy with the school district, gardening, and more. Peace House works to end family violence and abuse through shelter, outreach, support services and education. Peace House Prevention Educators provide you and your friends with the tools to create safe and healthy relationships around you, and to identify the signs of unhealthy relationships and confidently seek support. Youth Sports Alliance supports winter sports activities for youth in Summit and Wasatch Counties, promoting good sportsmanship and healthy lifestyles through participation, education and competition. School-related programs include Get Out & Play in the elementary schools, and Activ8 in middle school and junior high school. Is Girls' Giving Fund building the Women's Fund Endowment? No. Girls' Giving Fund is a separate fund and not an endowment, but the girls would like to grow the fund. In 2017, a $5000 grant was given to Big Brothers Big Sisters. The 2018 grant will be announced on October 27th.